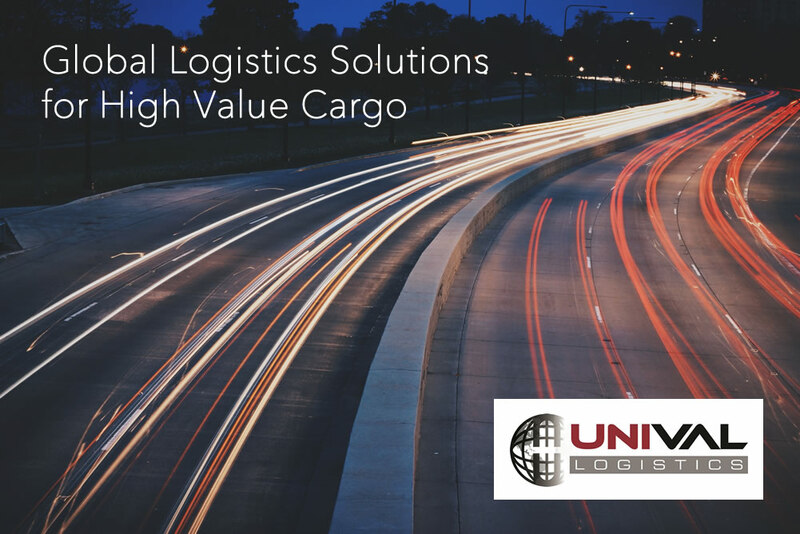 Welcome to UNIVAL Logistics. We are the global logistics powerhouse that delivers your high-value consignments safely, reliably and affordably. When you choose UNIVAL to ship your precious cargoes wherever it needs to go, you surrender us all the risks of transit. Our door-to-door supply chain solutions saves you from the hassles of operating a fleet. From California to the global stage, we have weaved a large network of destinations, throughout which we offer logistics solutions which are extremely convenient and beneficial, so YOU - our consumers - can focus on your core business and entrust the complexities of logistics to us. UNIVAL has shaped its logistics operations immaculately and has been a trendsetter for the last 14 years. Owing to our trouble-free operations, we always stay ahead of the curve. Providing secure global logistics solutions. Moving jewelry, gemstones, collectible items, wristwatches, and other precious packages is a complex business, and UNIVAL has the expertise and experience to handle it. UNIVAL can provide the logistics backup you require to get your inventory to its destination. Even during peak seasons, inclement weather, and business surges, we keep our promise of ON-TIME DELIVERY. Whether your own business is in manufacture, wholesale, distribution, retail, grocery, pawn broking or anything in-between, we're confident that we can perk up your supply chain - and your bottom line. At UNIVAL, we base our service on the most recent web tools, cutting-edge risk management expertise and matchless consumer service; most importantly, it's based on our years of experience. Transporting high-value shipments presents unique challenges, but we handle it efficiently through our extensive pool of extremely trained full- and part-time qualified drivers. They minimize disruptions in your cargo transportation. With UNIVAL, you have immediate access to your shipment's status. Our robust technology solutions includes world-class software and electronic on-board recorders in all the vehicles of our entire fleet, and it ensures that your cargoes are traceable and safe at all times.